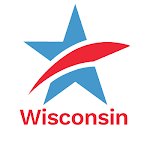 Legislation with bipartisan support that would replace Wisconsin's current hyper-partisan, secretive, and expensive redistricting process with a widely-heralded, nonpartisan, fair and cost-effective redistricting process modeled after Iowa's, will be formally "launched" today at a Capitol press conference at 1:30 PM in the Assembly Parlor, and tomorrow in Green Bay, at the Brown County Courthouse at 11:00 AM. 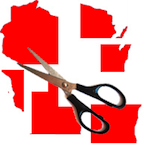 Senate Bill 58 and Assembly Bill 328 are identical to the anti-gerrymandering measures based on Iowa's redistricting process that gained substantial support during the 2013-2014 legislative session, including the endorsement of 19 daily Wisconsin newspapers. The measures already have 47 co-sponsors. CC/WI has a listing of all the co-sponsors on our website, which you can view here. We will constantly update that listing, so check back often to see who is on it and who isn't. Supporters of fair voter maps are invited to attend both events. Members of the state-wide Our Democracy 2020 Coalition will be on hand as well. There are many compelling reasons why Wisconsin needs nonpartisan redistricting reform and an end to the kind of hyper-partisan gerrymandering process that occurred in 2011. One very prominent reason is that Wisconsin voters, of every political stripe, have no real choice in state legislative general elections anymore. Earlier this year, CC/WI conducted an analysis of the November, 2014 election results, identifying the State Senate and State Assembly districts in which voters had a real choice that wasn't already preordained by the 2011 redistricting process. We found that only one in ten state legislative elections in 2014 was even remotely competitive, a sharp decline from the 25 percent that were in 2010. In addition to urging both your State Senator and your State Representative to support and co-sponsor Senate Bill 58 and/or Assembly Bill 328, please sign this petition in support of nonpartisan redistricting reform. If you have already signed, please recruit at least five friends, neighbors or family members to sign it too. We already have over 1,000 signatures – about 20 percent of our goal of 5,000 signatures – supporting this badly-needed political reform. Nonpartisan Redistricting Reform Measure to End Partisan Gerrymandering Launched in Madison and Green BayTweet this!